Dr. Charles Ettelson, MD is a Doctor primarily located in Chesterfield, MO. He has 35 years of experience. His specialties include Plastic Surgery. He speaks English. Dr. Ettelson has received 3 awards. The overall average patient rating of Dr. Charles Ettelson is Good. Dr. Charles Ettelson has been rated by 12 patients. From those 12 patients 6 of those left a comment along with their rating. The overall rating for Dr. Charles Ettelson is 3.0 of 5.0 stars. This "doctor" is retired and works for the United Health Care. He simply denies claims to protect the company from paying. His comments appear to be scripted which is completely unethical. He is one of the rare ones. Dedicated to his patients and their outcomes. Made himself available even on weekends and evenings. Every time I saw him, I came with a list of questions that he always took the time to answer. One of the Best! HE decides what your results will be, not you! I went to this dr 5 years ago for a reduction surgery and I am still unhappy with my results! I was VERY specific, and consistent, about what size I wanted. He always said that was fine, never giving any indication that I would get something other than my wishes, BUT when the surgery was over (and to this day) Iended up with two sizes larger than what I asked for. His response to my unhappiness was "well, when you loose weight they'll get smaller," how dare he! He didn't bother to remember that I had a high cardio hobby that I did 18hrs a week and had been doing for two years already without having lost any body shape or size previously, so why expect it in the future! And who was he to decide that I will just have to loose weight anyway! Also, I already knew that I don't loose weight in my chest -a decade before I had inexplicably lost 30 lbs without my chest reducing at all! I only had one shot at getting insurance to pay for the #[email protected]#* procedure (no one's going to approve a 2nd surgery) and he chose to waste it for me! I still dream about punching him because he had no right to decide for me what the results - permanent results -on my body should be!!! Dr Ettelson was awesome. Great office staff, very nice and was good about handling insurance issues. I would recommend this Physician to anyone. We are sorry, it looks like we don't have insurance information. Please call Dr. Charles Ettelson's office for more information. 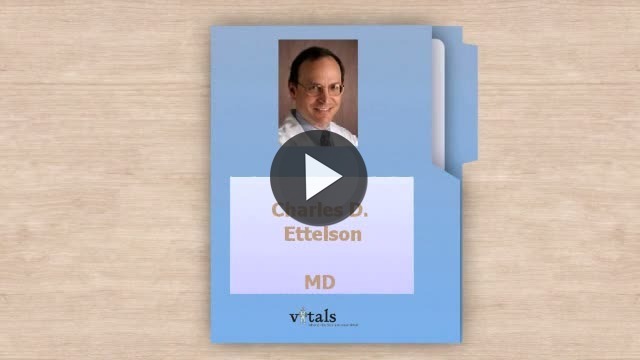 Take a minute to learn about Dr. Charles Ettelson, MD - Plastic Surgery in Chesterfield, MO, in this video. Dr. Charles Ettelson is similar to the following 4 Doctors near Chesterfield, MO. Dr. Charles Ettelson Is this you? Have you had a recent visit with Dr. Charles Ettelson? Select a star to let us know how it was.